Host Pete Graves is joined by Sky Sports News reporter Dharmesh Sheth and skysports.com features writer Pete Hall, to discuss all the latest moves as the January transfer window heats up. 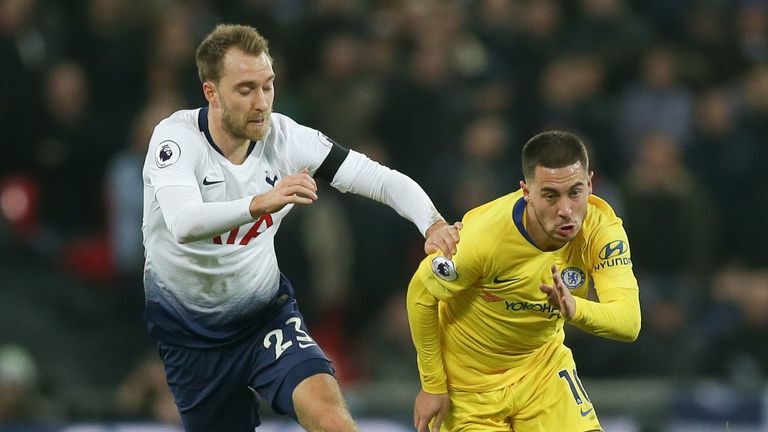 Spanish football expert Graham Hunter joins the show to discuss why Tottenham's Christian Eriksen is Real Madrid's priority summer target, and whether Chelsea's Eden Hazard may join him at the Santiago Bernabeu. There are also updates on the futures of Jose Mourinho, Neymar and Willian, as well as Manchester United pair Ander Herrera and Juan Mata. The panel discuss the future of Chelsea's Willian, plus the pros and cons of Maurizio Sarri moving for Gonzalo Higuain and why the club must fight to keep Callum Hudson-Odoi. Also on the agenda is whether Marko Arnautovic could follow in Dimitri Payet's footsteps by forcing his way out of West Ham. Finally, the panel look at why Arsenal are only targeting loan signings in the January window, plus there is news from Crystal Palace and Cardiff.